The Leader in Me paradigm sees that every child is capable, every child is a leader. This paradigm changes everything. This is an example of how I would use clean-up to emphasize the leader in me philosophy, as it becomes a team effort where everyone plays an important role. This poster comes from Angie Steuer. 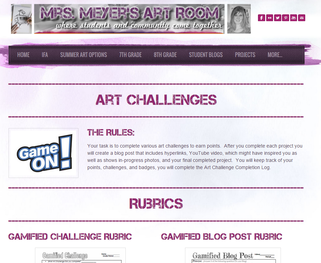 Gamification allows students to choose mediums in art that they are passionate about from drawing to creating animations with code. 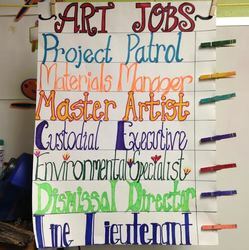 Students take the lead in their learning as they challenge their capabilities in art in a safe and productive learning environment where they are not compared to their peers but are self-directed. Students plan out their points and projects before starting. This planning is included in the gamified challenge rubric as students also lay out sketches and timelines for their projects.